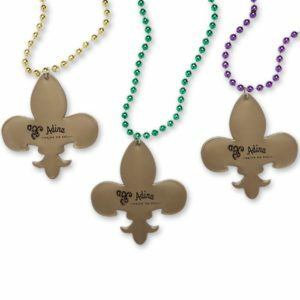 Ah, Mardi Gras … a time of celebration, history, and tradition. Most people think of New Orleans – or maybe even the older festivities in France – but Mardi Gras actually has origins from ancient Romans. The ancient Romans celebrated ‘Lupercalia,’ a time of feasting and celebrating fertility. Once Christianity took hold of ancient Rome, the church leaders used the dates of pagan holidays to make the religious transition easier. And so, originally, the Christianized Romans began celebrating and feasting on the Tuesday before Lent. This gave families that opportunity to rid their homes of the fats and other luxury foods – as well as do some major partying – prior to Ash Wednesday. And thus, Fat Tuesday was born. Over the years, Mardi Gras spread through Europe, gaining a stronghold in France and eventually ending up in the Americas. New Orleans now holds the most popular Mardi Gras observance in the U.S. with people travelling from all to see the extravagant floats with their “Krewes”, the maskers, dancers, and all of the other festivities. Mardi Gras is such a worldwide phenomenon that many people will close businesses for the day – or celebrate from their own corner of the world. 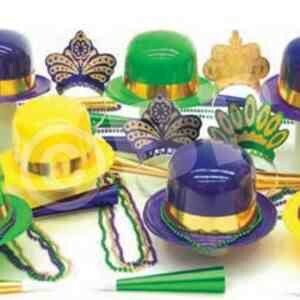 So how can you celebrate Mardi Gras with your customers and employees? Food, food, and more food! One of biggest aspects of Mardi Gras is all of the deliciousness. It’s called “Fat” Tuesday for a reason! Stock up your office with baskets and buckets of snacks or pass around some delectable chocolate Mardi Gras masks to get people in the spirit! And of course, there’s always the ever-popular pizza cutter – because who wants to COOK for Mardi Gras?! Jazz it up! A huge part of Mardi Gras tradition is the wonderful music playing in the streets, while people dance, drink, generally be merry. With music abuzz, bluetooth speakers set up around your place of business – or even outside – could be an ideal way to draw people in. Feeling generous? Or maybe you have some key employees that you want to thank? Imprinted ear buds are a great way to say, “You rock!” And if you’re enjoying the biggest party of all parties, liven it up with some engagement – bust out some musical instruments and get the music flowing!